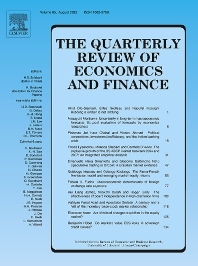 The Quarterly Review of Economics and Finance (QREF) attracts and publishes high quality manuscripts that cover topics in the areas of economics, financial economics and finance. The subject matter may be theoretical, empirical or policy related. Emphasis is placed on quality, originality, clear arguments, persuasive evidence, intelligent analysis and clear writing. At least one Special Issue is published per year. These issues have guest editors, are devoted to a single theme and the papers have well known authors. In addition we pride ourselves in being able to provide three to four article "Focus" sections in most of our issues. These "Focus" sections have a common theme, may or may not have a guest editor, and often contain papers that were presented in a session at a regional, national or international meeting. These can be published in a very timely manner. Finally, QREF is the journal of the Midwest Economic Association. The editors of QREF place special efforts into working with young authors.